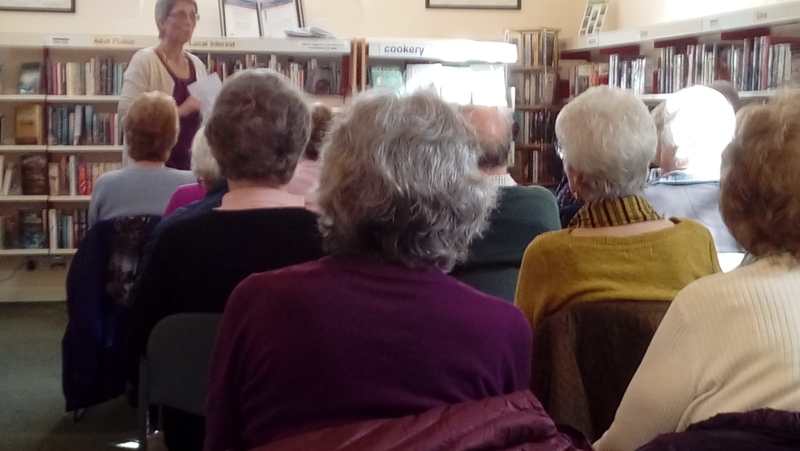 Over 20 people enjoyed a fascinating talk by Annie Murray author of a number of books based in Birmingham. Annie also writes under the name of Abi Oliver and this series of books has a Berkshire/Oxon background reflecting her own home area. Although living in Berkshire, Annie has strong family connections in Adderbury. Thanks to Annie and to her husband who ably supported her for a stimulating insight into an author’s life and motivations and for bringing a selection of her books for signing and sale. Thanks also to Chrissie Garrett for hosting the event, to Bobbie Howard for looking after the refreshments and to John Osborne for welcoming people and taking their entry fees. Thanks to all of them for help in setting up and clearing away. This enjoyable event was also a financial success and added £143 to our new financial year’s fund raising target. Focal hosted a most enjoyable luncheon today for the volunteers who give their time to support Adderbury library. They were joined by members of the Focal Executive and by our Library Manager, Catherine Drake. 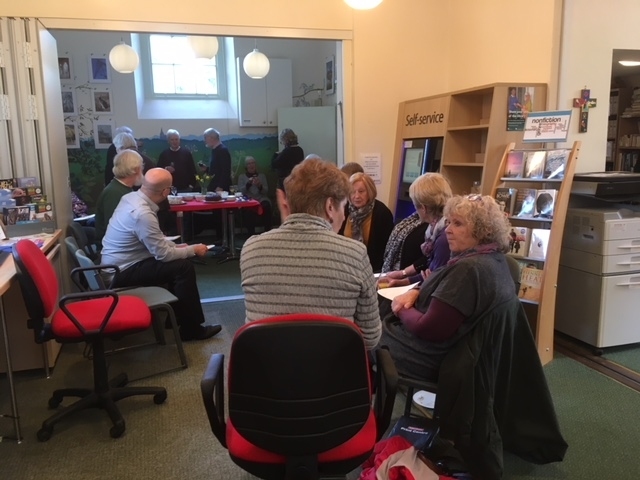 Oxfordshire is one of the few county councils where there have been no library closures and no cuts in library hours and this is due in considerable measure to the work of volunteers who value their library to give of their time and talents. Thanks to Bobbie Howard, our Volunteer Co-ordinator for organising the event and to John and Sue Prentice and to Catherine Drake for their support. Apologies to any regular viewers of the Focal web site which crashed a few days ago and has only just been restored to life. It seems our web site host had a problem with failed servers and it took them several days to get them back in action. Technology is wonderful when it works but a disaster when it fails! Despite initial fears of low numbers, we had some unexpected arrivals which made for a thoroughly enjoyable and noisy Family Quiz. 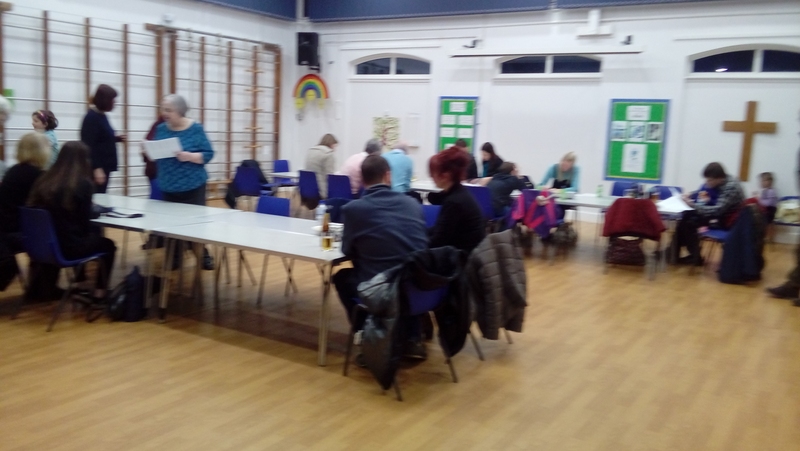 Adults enjoyed a picture quiz while comfortably seated; children had one that required them to search for answers to clues around the hall and then to match the answers to some questions. There were nibbles during the quiz and participants mainly brought their own drinks. There were prizes at the end. Special thanks to Sue Hitchings and Gail Cripps who put a huge effort into organising the quiz and who provided the prizes themselves. Also to Angela Everett for organising the event and to John Prentice and Liz Wingrove who supported and finally to Phil Goldsworthy, school headmaster, who made us all so welcome. 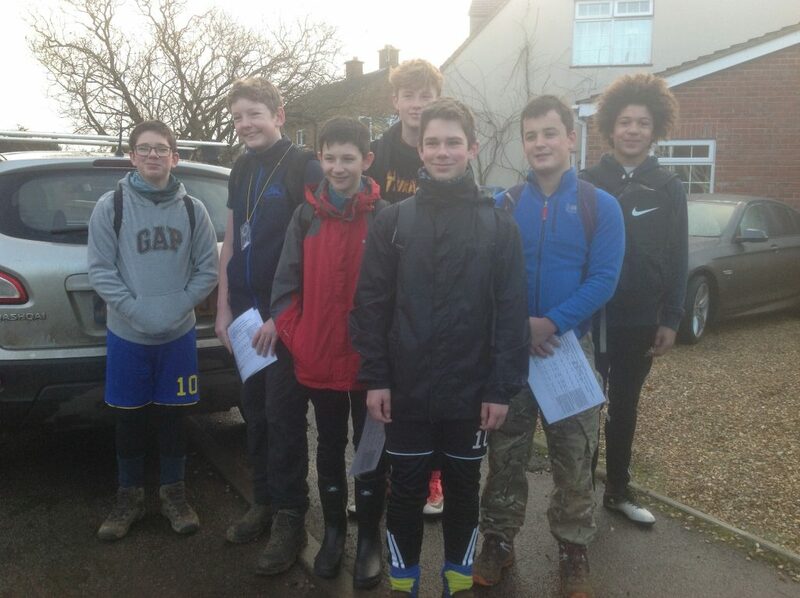 Seven members of the 1st Adderbury Scouts set off this morning on a 15-mile sponsored walk to raise funds for Focal. They are pictured here in Twyford Grove at 8:30 am and about to set off on their 15 mile walk, expected to take some five hours. 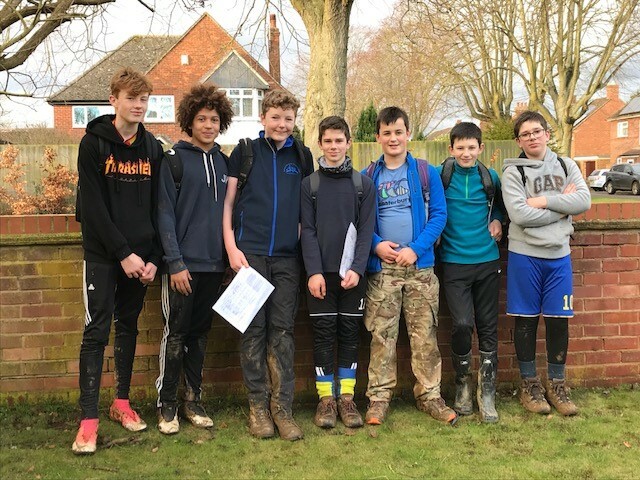 They are well organised and supported by several adults who will be marking their progress round Adderbury, Bodicote, Bloxham, Milton, the Barfords and back to Adderbury. We wish them well. From left to right, they are: Rafe Wingrove, Harry Critchfield, Tom Haynes, Henry Taylor, Gabriel Wingrove, Archie McCusker and Luca Lenihan-Owra. Here they are after completing their 15-mile sponsored walk, looking pretty fit and well. They finished in good time as well! Many congratulations and hearty thanks to them and to all who sponsored them. We are delighted to receive a cheque for £100 from the organisers of the Adderbury Christmas Market in the church. 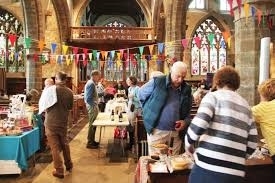 This was a huge success and enjoyed by many villagers and visitors with a large range of stalls and activities. Our thanks to all of the organisers who worked hard to make it a success and who voted to include Focal in their donations. Our very grateful thanks to David & Aline Griffiths for running the Christmas card delivery service once again with proceeds going to Focal. 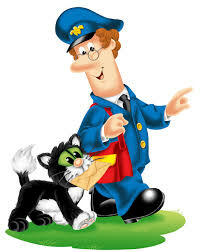 The service raised £51.25 which sounds like 205 cards delivered and quite a good few miles walked along Adderbury streets! David Griffiths organised the service and did much of the pavement pounding but was greatly helped by his wife, Aline, who sorted the cards, deciphered the addresses and corrected the wrong ones! Also, thanks to Kevin Behan, Sheila & Keith Norton, Lisa Smith and Neil Staples who took on some of the deliveries. 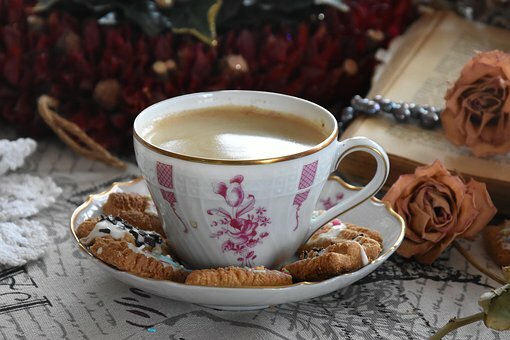 The weekly Friday coffee morning in the library is run by volunteers and is very popular with library users and others throughout the year. Funds raised are divided between Church House and Focal and we are delighted to learn that the coffee mornings in 2017 raised £2,000 with half of this – £1,000 – due to come to Focal towards our annual fundraising target of £9,000 plus to maintain library opening hours. Our very grateful thanks to the regular volunteers who give up their time on Friday mornings to make this event so enjoyable and to all those who support it. On Sunday 21 January 2018, seven 1st Adderbury Scouts are planning to walk 15 miles to earn their Scouting World badge and to raise funds for Focal. We wish them well and thank them for their enthusiasm. See the event sheet for a photograph and the names of the participants. We wish them well and warmer and drier weather! 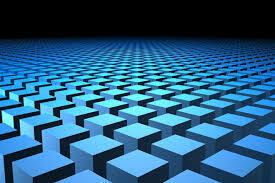 and details will be added to this web site. The Focal Pub Quiz on 11 November was an enjoyable and successful evening. Thanks to David & Aline Griffiths for organising the event and running the quiz and to Chris and Sandra Shallis for providing space at The Bell and serving food. Fifteen teams took part of various sizes. Congratulations to the winning team comprising Michael Walsh & his partner, Jill Boss and Anthony & Pauline Wagg! Runners up were Goldilocks & The Bears. The event raised £556 which will make an excellent contribution to our fund raising target. Thanks to everyone who supported this event and to David and Aline for giving everyone a most enjoyable evening. They are looking forward to the next one in April 2018.